Pakistan for its part has ensured that its relations with the Kingdom remain steadfast. While US-Pakistan relations appear to be at an all-time low, it appears Islamabad is continuing to cement and develop more and more friendships across the wider region. The obvious example of this can be seen with Saudi Crown Prince Mohammad bin Salman’s (MBS) visit to Pakistan this week. According to Voice of America, MBS announced and oversaw the signing of investment projects worth up to $20 billion, even higher than the suspected $12 billion in projects which had earlier been lamented. MBS also ordered the release of 2,107 Pakistani prisoners from Saudi prisons, who have started arriving home. Last year, a report found that there were 2,937 Pakistanis held in Saudi jails in total, meaning there are some 800 or so prisoners still yet to be released, though it is a significant majority that is freed. MBS is clearly not taking this visit lightly. The delegation that accompanied him itself was quite the powerhouse, as it included members of the royal family, key ministers and other prominent businessmen. MBS met with Prime Minister Imran Khan and other notable officials, as well as Pakistani military leaders (no surprises there). “Pakistan is gonna be a very, very important country in the future and we want to be sure that we are part of that,” MBS reportedly said. The reasoning behind this statement will become ever clearer below, once we examine the real stakes at hand. All in all, the Donald Trump administration suspended $3 billion in security assistance to Pakistan over claims that Islamabad has failed to pay its dues in relation to combating terrorism. It shouldn’t be any surprise that other countries would seek to fill the void left by the US, and Saudi Arabia is quite clearly a country who is not going to sit by and watch as China reaps all the benefits. The Chinese-Pakistan Economic Corridor (CPEC), part and parcel of China’s monumental Silk Road Project, is a project heralded by Prime Minister Imran as it will connect Pakistan with China – which is a “huge market”. While this project was originally supposed to be a strictly China-Pakistan affair, there is one nation who has decided it wants an equal share of the opportunity. Saudi Arabia is currently planning to establish a $10 billion oil refinery at the Gwadar Port in Pakistan, the same port that China reportedly was attempting to transform into a naval base. In essence, this would actually be a win-win for the US, who no longer has to spend the same amount of money it once did in order to bring Pakistan onside. In the eyes of the US, Saudi funding would be enough to keep the balance of power between China and Iran on one side, and the US and its Gulf allies on the other. Just the presence of Saudi Arabia alone at Gwadar port will remove almost any concern that China intended to turn the port into a naval base. In October last year, the Saudi government said it would lend Pakistan $3 billion in cash, which has already been deposited in the State Bank of Pakistan. Pakistan and Saudi Arabia have also signed seven memorandum of understanding (MoU) and investment agreements worth $20 billion. The Abu Dhabi Fund for Development (ADFD) also deposited $3 billion into the State Bank of Pakistan to support its economic growth with offers of a $6 billion package in total. While the UAE typically gets a free pass in the media, its intentions to join the region and exert a similar amount of influence appear to be equally noteworthy. For example, the Emirati media have announced that the UAE and Pakistan are accelerating defence cooperation. He’s not lying, as for some time it was only China who was proposing to invest in Pakistan in this way, having invested about $20 billion in energy and infrastructure development. 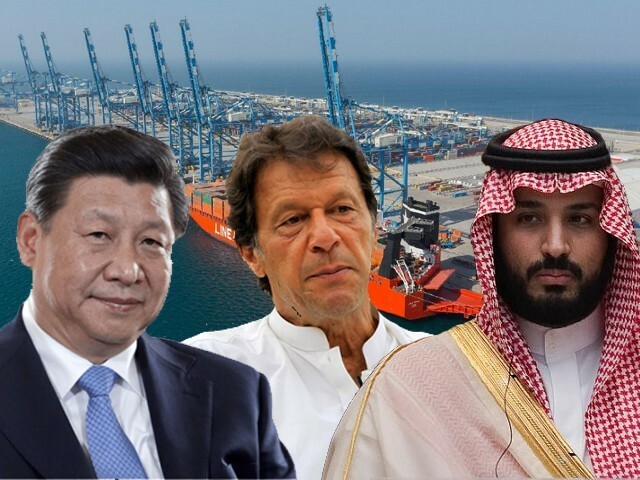 In order to prevent Pakistan from being swayed too far under China’s influence, which would see the US and its allies lose a key geostrategic friend in the region, countries like Saudi Arabia and the UAE are attempting to exert their economic influence over Pakistan as well. MBS’s visit to Pakistan this past weekend is a sure sign of this, and may be a surer sign of things to come.